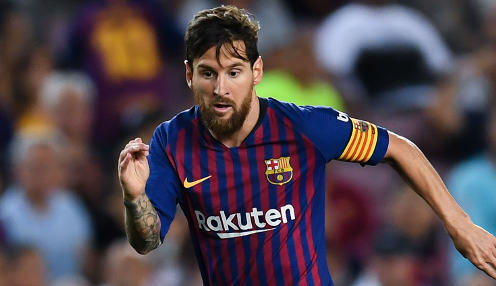 Barcelona superstar Lionel Messi has warned his side not to take anything for granted as they go in search of a first Champions League success since 2015. Messi scored twice as the Catalans defeated Lyon 5-1 in the Camp Nou to progress to the quarter-finals by the same aggregate score, but the Argentinian ace is readying himself for another major test whoever Barca are paired with. Whoever we get it will be difficult and we must prepare for the hardest possible test in the coming weeks. He told reporters: "Manchester City and Juventus are both very good and Ajax are a great young side. "Whoever we get it will be difficult and we must prepare for the hardest possible test in the coming weeks." That sentiment was echoed by Barca head coach Ernesto Valverde, who believes his players are showing high-quality focus in European matches this season. He added: "We are very focused in the Champions League this year, but we know how difficult it is and the level of our rivals is very high. "It is impossible to single one side out (as the strongest opponent), as each side deserves to be in the quarter finals. "Whichever team we get, it will be complicated to progress." Barcelona have been eliminated at the quarter-final stage of the Champions League in each of the last three seasons, being knocked out by Atletico Madrid, Juventus and AS Roma. They are available at 2.50 to win the Champions League this season, with Juventus priced at 12122.00 and Liverpool a 3.50 shot.